An digital approach to pool billiards based on natural anchors. 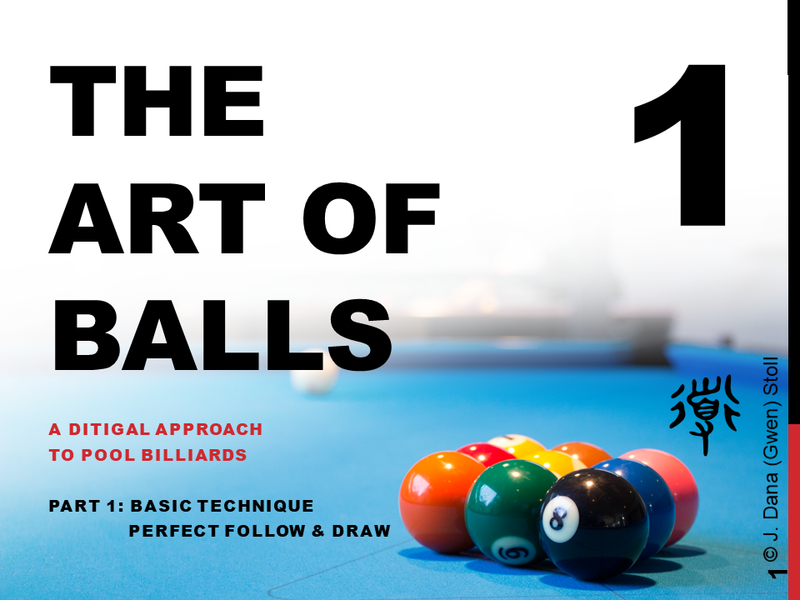 Part 1 includes a system to master follow and draw shots at defined lengths with high consistency and natural anchors. 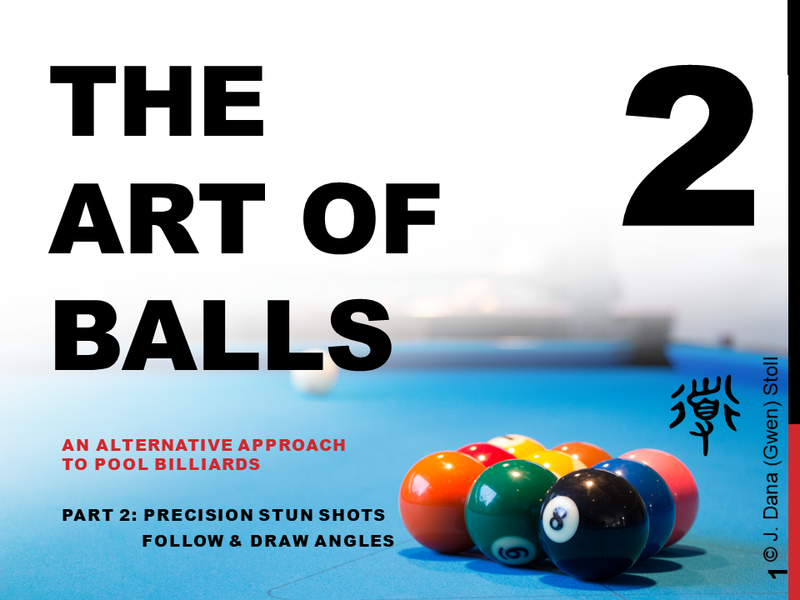 Part 2 provides a precision system for stun shots, detailing how far the cue ball travels. Part 3 covers a system for shot-making based on fractional aiming with fixed aiming positions. It can be scaled from all the table to just a small table area, and incudes arbitrary angles. Part 4 covers the length of rolling balls at arbitrary angles. In the second half, many helpful systems from carom that work on pool tables are introduced. Part 5 gives an in-depth discussion of spin, aiming on the equator and clock system, deflection, effects of low and high deflection shafts. In the secod part, many more systems for 2 or 3 rails are introduced. Part 6 gives an in-depth discussion of position play with many examples using the terms and anchors introduced in part 1-3. In difference to other systems, the anchor point are diamonds, not the quadrants between them. Part 7 gives an in-depth system for bank shots. 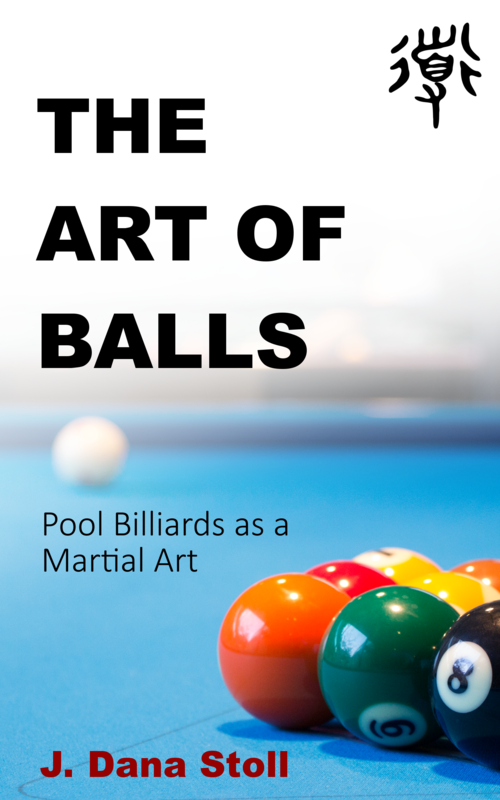 A collection of essay from the old "The Art of Balls" Website. Mental development, no matter what arts you approach, happens in stages. There have been four stages of thinking identified, that will gradually unfold whenever you continue to practice an art, and also continue to contemplate on what you’re doing. This article breaks down the typical stages and challenges one encounters when playing the art of balls: billiards. After writing a ton on the mental side of the game, I felt that an Art is not complete unless it comes with a way to practice the technique. A standardized one. As with the mental aspects I was just as picky here to deliver high quality content. 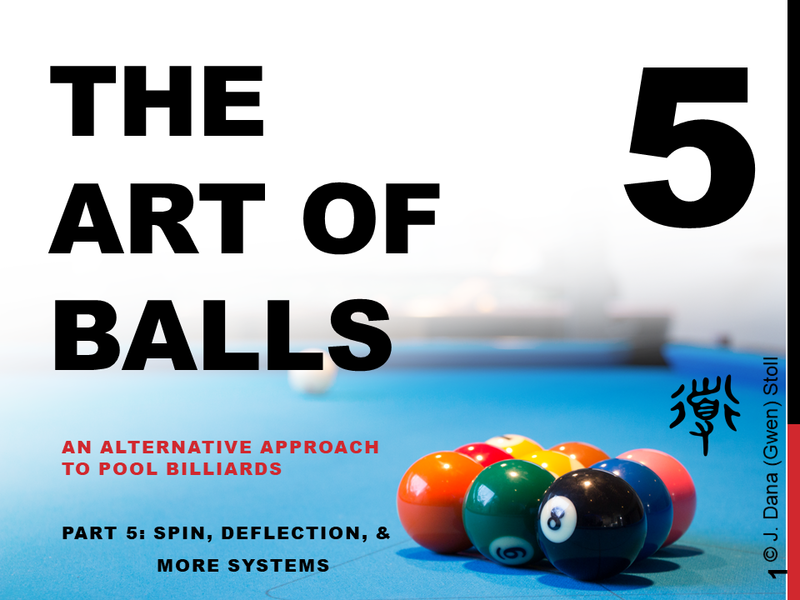 You will find an innovative system of pool technique in six volumes (for now) based on completely natural anchors to guide your gut feelings. If you work your way through this your game and consistency will improve substantially, unless you´re a skill monster to start with. If you have questions on the slides or want to take lessons in it, feel free to contact me. The old Art of Balls website has been discontinued. The collected essays can be found as one document on this page. Compiling these methods is a ton of work, requires buying and reading many sources, buying cover art from the web, paying club memberships and table fees to test and refine it, hosting fees to put it all up here, and a lot of gas driving around the country talking to masters of the game. So if you appreciate the work which is offered for free, it would be great if you want to make a donation.